Our forthcoming issue, Subjektiv part II, invites different artists, curators and thinkers to give us their recent critical perspectives on the issues at stake and on the status of the subjective as an artistic strategy in the current political climate. As a warm up, we'll share some statements here. Roger Ballen: I do not see myself as a political photographer; rather, I see myself as a psychological one. It’s my opinion that in order to have lasting political transformations, there must be corresponding psychological ones. If my photographs are able to alter the inner psyches of those who view them, then there is a possibility that I might have altered their political consciousness. If there is a politics, it goes back to R.D. Laing – the politics of the self. It is all about getting one part of the mind to speak to the other parts; to discover the other parts of the mind. The goal of my images has been to help viewers make peace with their inner selves. In other words, I am hopeful that my photographs can break through layers of mental repression and allow different sides of people’s minds to communicate with each other. It is my strong belief that unless a substantial proportion of humanity is able to unshackle mental repression, the condition of the species will not substantially improve. I have tried to define a practice that is wholly mine. It’s a matter of the way I organize reality. My images are essentially transformed photographic realities, created by the interaction between my mind and the location I’m working in. Today, people want everything packaged. Someone can package an artwork in a way that will make a potential buyer feel comfortable. That’s the work that usually sells well in today’s world. It’s got to be packaged. Think of the meat one finds in supermarkets: if consumers had to kill those same animals themselves, it would be a whole different story. The economics forces out there are so sophisticated that they have twisted everybody’s mind. But I’m fortunate; maybe it’s the way I grew up. I’m fortunate to have grown up in the counterculture, in a pre-computer age. Unfortunately, people today cannot separate the slogans from reality. 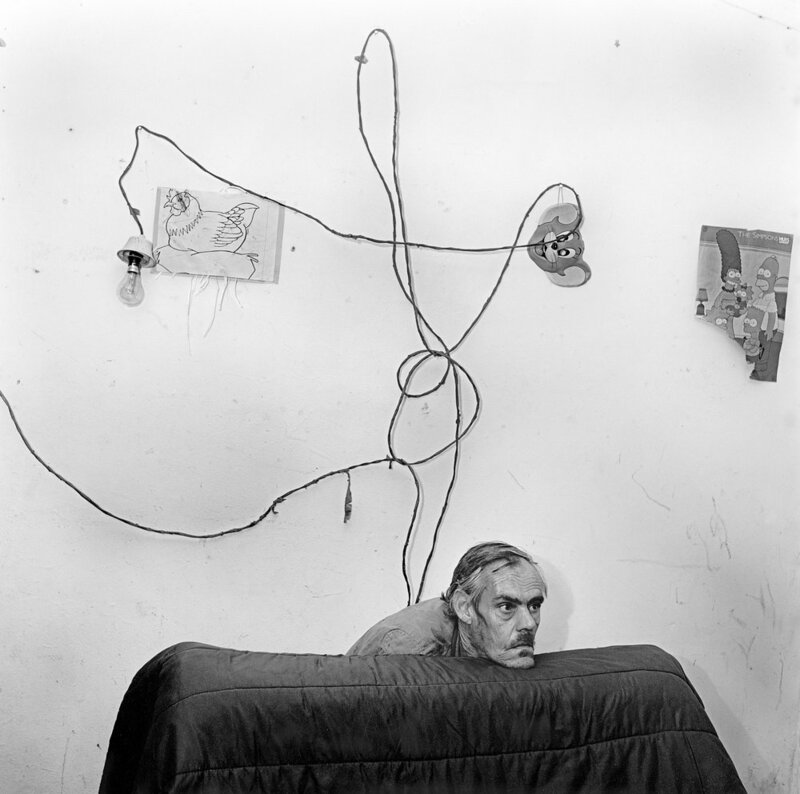 Roger Ballen is an American photographer. Lives and works in South Africa. Exhibiting here and here this week in Oslo. See his video Ballenesque here !